Whenever cellists are asked to name a flute-cello duet, they almost always mention Villas Lobos' "The Jetwhistle" ("Assobio a Jato"). I decided to write my own alternative to this great piece. 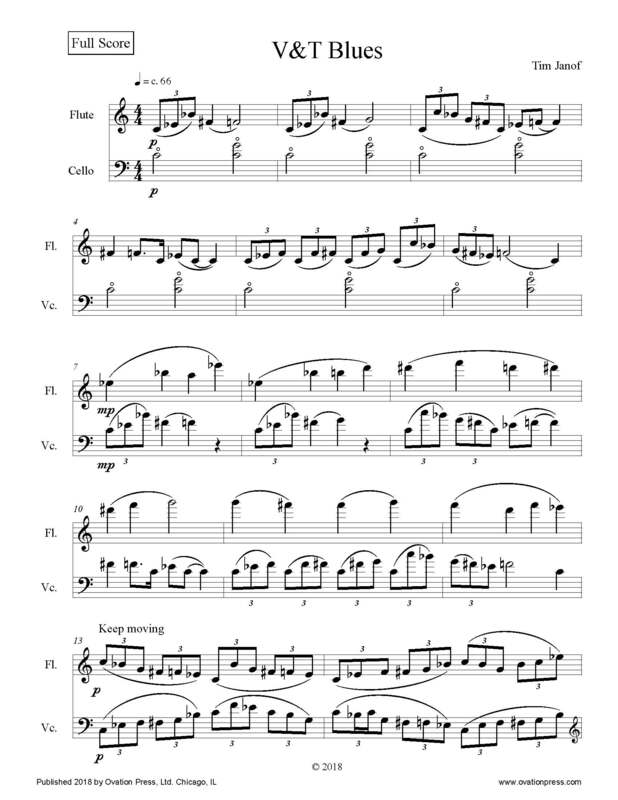 As suggested by the title, the piece has a heavy Blues influence, but it is very much a piece for classically-trained musicians. Set in a modified rondo form, it is technically demanding for both musicians. Think Handel-Halvorsen meets Muddy Waters. Click below to watch a video of Virginia Knight and Tim Janof performing V&T Blues.